In Blue, Dad's favourite colour, a box for all things important, keys little tools, openers, etc. Made of wood with hinged lid, just the right size, it says what it is. 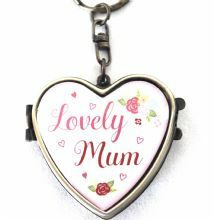 This antique coloured keyring shaped as heart opens with photo to be placed inside. 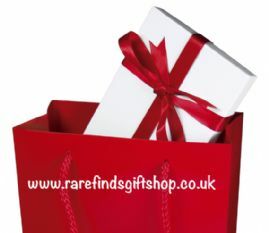 A unique gift for Mum on Mother's Day or any day because she is special. Mums are always amazing. This little cup tells Mum just that . The mug in sunny yellow comes with its own ceramic coater with the same design. A cute pair for that amazing person. Mug for Dad re-imagined. Decorated with stars in dashing blue with the words "love you" written inside the mug. A great way to remind Dad with every sip how much he is loved. Surprise Dad with his very own sprinkler, for those little pots sitting on the window sill. Light, durable and handy in attractive green, something functional and decorative. A picture frame filled with colourful flowers specially for Mum. Holds two photos on the inside. Display as an open book. With its unique and cheerful design, this frame is a standout. Mum's very own chocolate mug complete with mixing spoon. Wide and large-sized perfect for lazy afternoons. Delightfully presented in a box tied with natural hemp.